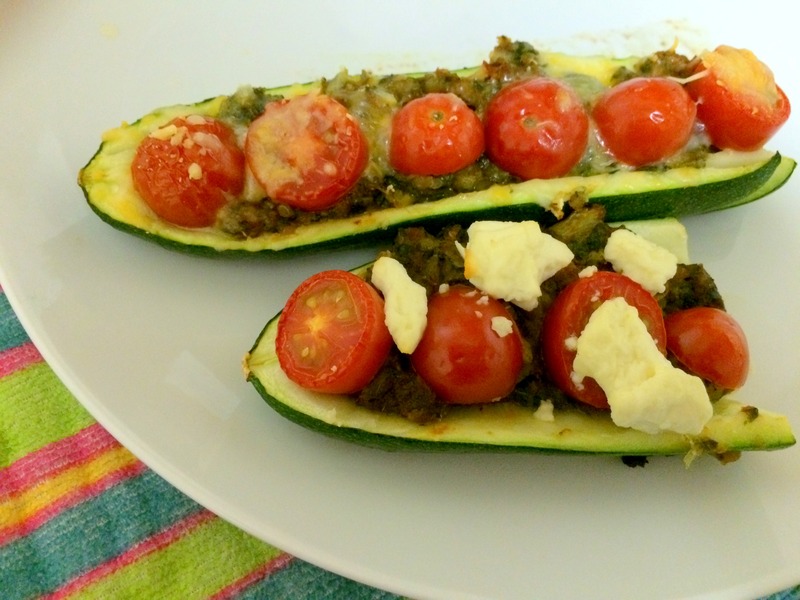 I’d been meaning for awhile to make zucchini boats and decided to just alter my original plan to use ground turkey. I could easily sub in the veggie burgers! At first I was a little put off by the green appearance of the burgers, but as soon as I heated them in the microwave, a delicious smell filled my apartment and my doubts were replaced by excitement! And they tasted as good as they smelled. I’m so glad I have more to use in another recipe in the future! 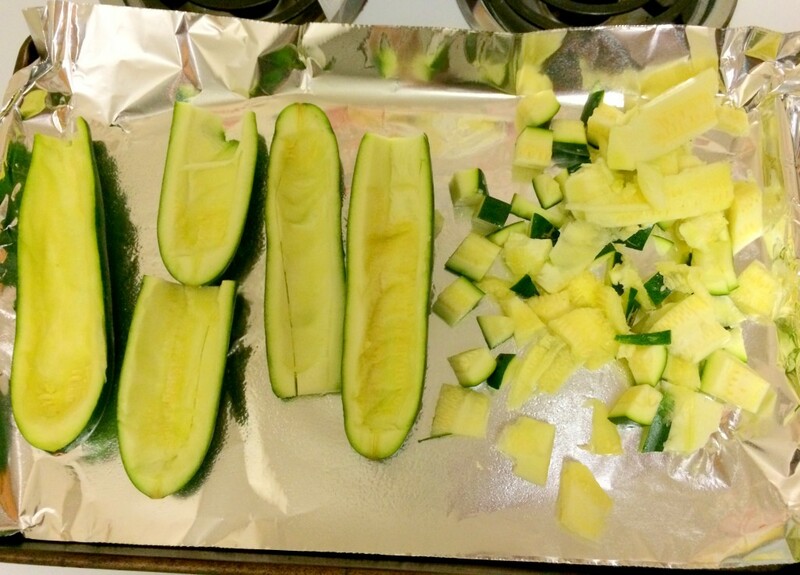 Wash each zucchini and then cut in half. Making the boats wasn’t my strong suit (as you will see from the fact that one kinda fell apart and the right hand side of the pan is filled with zucchini that never made it to boat-hood) but the method I used was to cut out the middle best I could with a knife and then use a spoon to scoop out any extra. A bit of a struggle boat situation. Heat the veggie burgers in the microwave. The box’s instructions said to heat them for a certain amount of time and then flip over, but I didn’t find that I needed to do the flipping. Lay boats out on a sprayed pan (or top your pan with foil and spray that, as I always do…saves a dish to wash!) and carefully fill each with the veggie burger and pasta sauce mixture. I tried using the fork I used for mashing but in the end, using my fingers worked best. 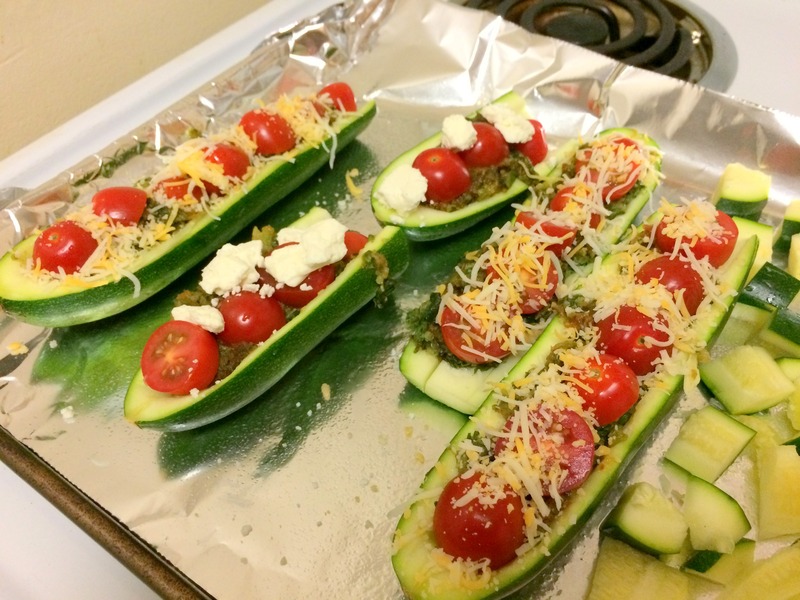 Carefully top each boat with sliced grape tomatoes and cheese. Bake for about 30 minutes, or longer if you want your boats more “done”. Then grab a plate and set sail! 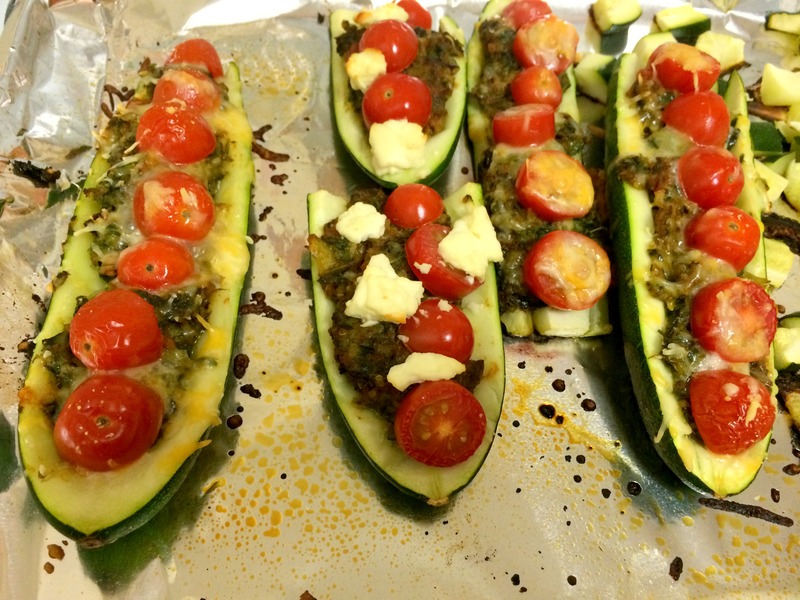 I did not intend to eat every boat that I made, but I ended up doing just that! This meal was super easy to make and is the perfect dinner to prepare when you’re short on time but don’t want to fall into the takeout trap. 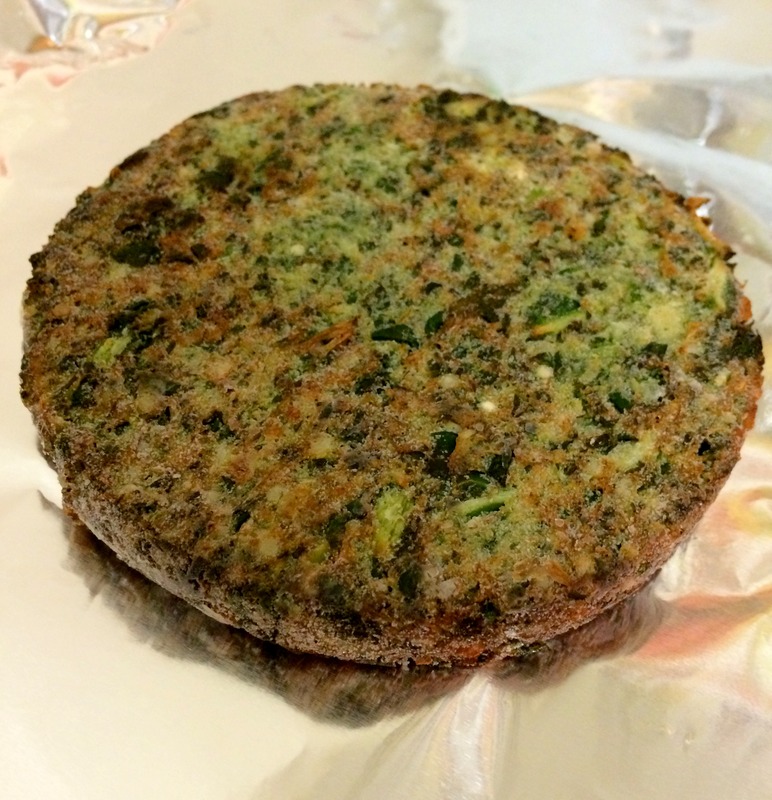 The veggie burgers really tasted wonderful – and FYI greens-averse folks, you cannot taste the greens at all. 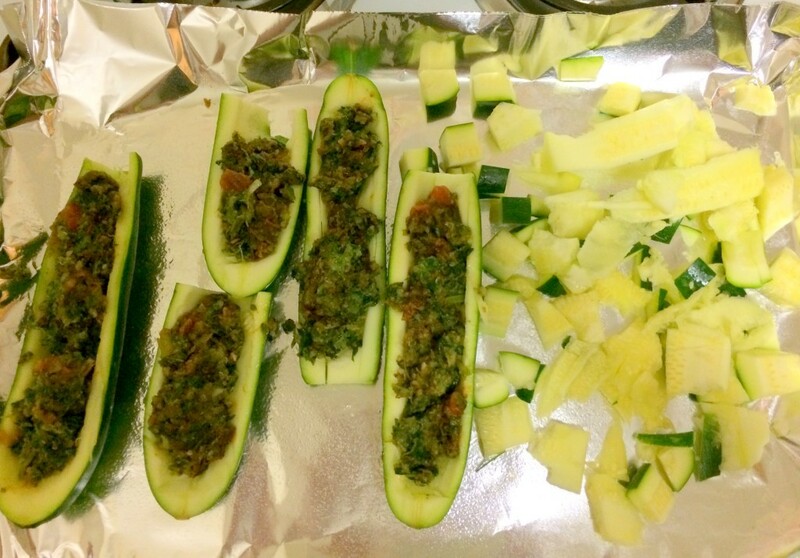 Visit my Instagram of the zucchini boats, like it, and comment here to tell me you did. 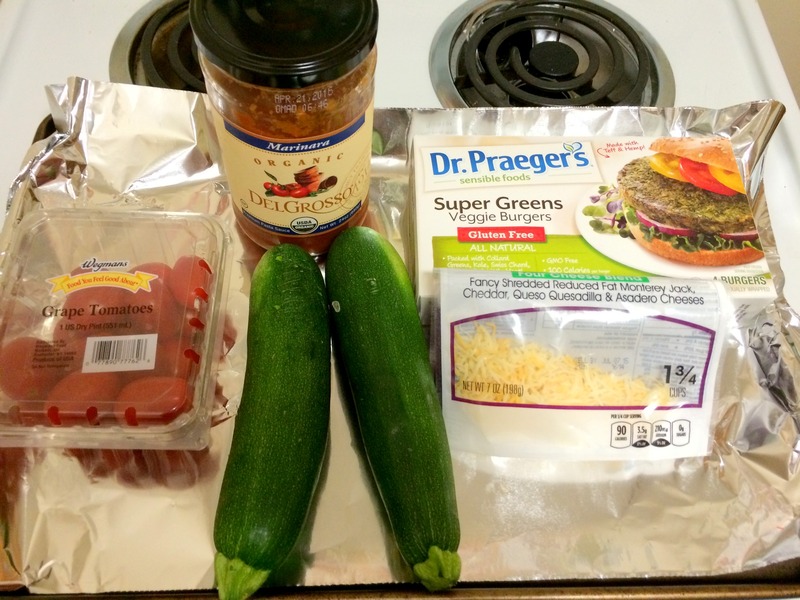 Tweet “I entered to win Dr. Praeger’s veggie products from Cait Plus Ate! 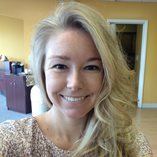 http://caitplusate.com/?p=13984” and comment with the link to the tweet. 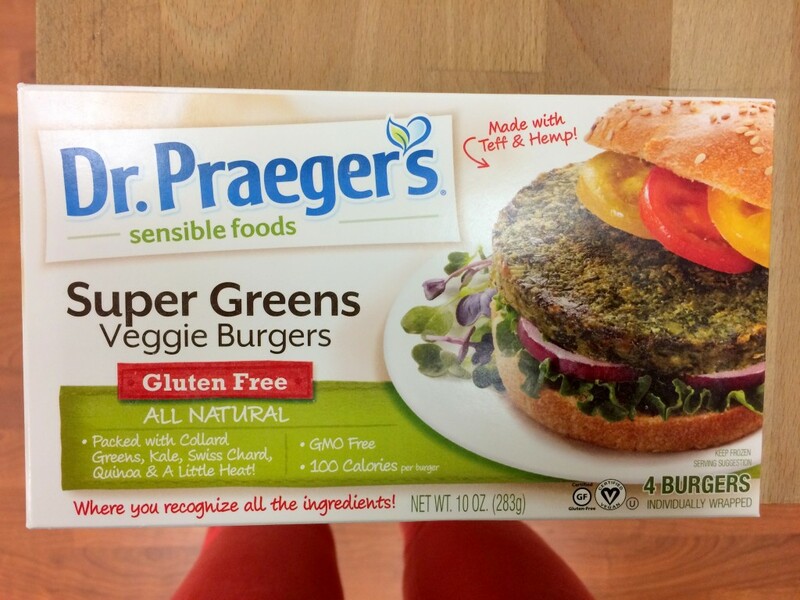 Thank you to Dr. Praeger’s for the chance to try the Super Greens veggie burgers, and for giving a reader the chance to try them too. Good luck, all!